It’s a no-brainer – you need to stay hydrated during workouts; and just like any other thing related to fitness and working out, there’s a product for that. The sports drink craze has swept the nation and turned into a billion-dollar business, with major athletes from Michael Jordan to Tiger Woods having their multi-million dollar advertising deals with big beverage companies. There’s no question that these drinks are quite tasty and it’s a lot easier to drink than water, but do you really need these drinks? Good ‘ol water is of course – everyone’s basic choice. But with supermarkets packed with dozens of different sports drink brands – energy drinks, fortified waters, infused waters – are they all worth it, or is plain water just as good as these products? Your body uses up so much water when you train, that it’s important to replenish your diminishing water stores immediately. Your body is made up of 70% water for circulation, waste management, and temperature regulation, and losing a huge portion of it during training may severely impair some of your body’s important functions. 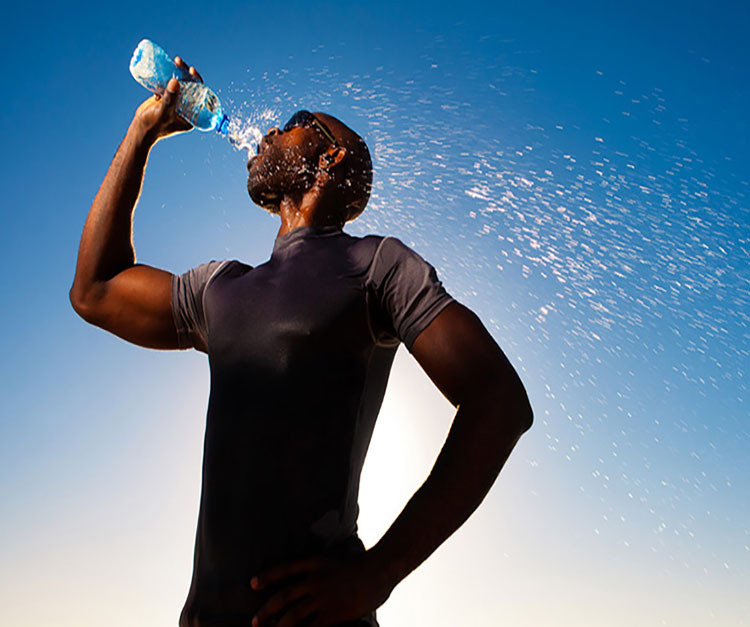 No matter how downplayed dehydration is when we talk about health, it’s still important to keep your body hydrated especially when you exercise. When you work out, it’s normal to feel thirsty, and when the time comes, would you choose the product that says Obey your thirst, or would you grab a cold water bottle to quench your thirst? The tasty choice would be the lime soda, but its sugar content would likely leave you thirsty and looking for some plain water to quench your thirst. Soda products are loaded with sugar, and sugary products aren’t the best choice for quenching your thirst. Energy drinks morphed from being just a fad to a staple in many fitness gyms around the planet. Many people believe that taking energy drinks enable them to perform at a higher level when they work out. Due to the high caffeine content of energy drinks, people who exercise are more energized. It may appear that energy drinks are a great idea, but energy drinks typically contain just as much sugar as sodas, if not more. Energy drinks use sugar as a source of energy, along with caffeine. However, this formula is prone to a steep decline in energy levels known as the caffeine crash. Sports drinks are flavored beverages containing sodium and electrolytes. These minerals are expelled from your body when you sweat, and it just makes sense that you should replace these minerals to get your body back into its natural rhythm. Sports drinks have been available for decades, and many people who work out have a sports drink bottle handy to quench their thirst. However, unless you’re exercising for an hour and a half to three hours, plain old water will do. Sports drinks work best for endurance training or sports which last for more than an hour.